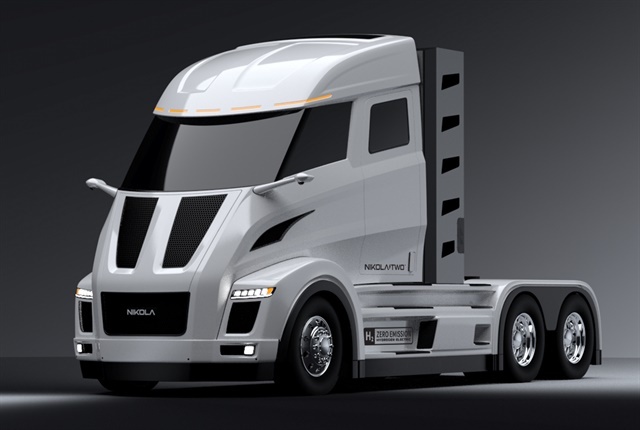 Nikola Motor Company announced that Nel ASA will be the sole equipment supplier to a planned network of 16 hydrogen refuelling stations that will cover over 2,000 miles. Nel ASA is anticipated to provide engineering, electrolysis, and fueling equipment, while Nikola will provide the balance of plant, construction, dispensers and other station equipment. Nikola plans to have hydrogen stations initially produce up to 8 tons daily, but can also be expanded up to 32 tons per day. Each Nikola truck is anticipated to consume around 50 to 75 kgs per day and will store between 2 and 3 megawatt hours of energy. Refuelling stations are planned to have around 4,000 kgs of backup storage for redundancy and produce hydrogen at 10,000 psi and 5,000 psi. Stations will be available for all hydrogen-fueled vehicles. Two of the 16 stations have already begun installation, with the remaining 14 following after completion.